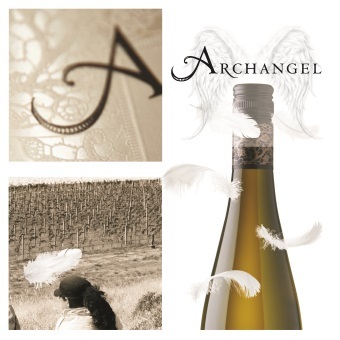 Nestled within a timeless and sensual landscape, Archangel Vineyard sits on two ancient glacial terraces in the Upper Clutha Valley of Central Otago, one of the southern most winegrowing regions in the world. Geological events 30,000 years ago have defined the Archangel landscape, creating soils that are a pastiche of loess, gravel, schist and mineral quartz. Today, the 23 hectare estate nurtures Pinot Noir, Chardonnay, Pinot Gris and Riesling vines. Archangel is a true story of hope, love and survival. It begins in 1940 with two young girls, Stefania and Halina were forced from their homes in war-torn Poland, the girls find themselves in a labour camp in Arkhangel’sk, Siberia. Though they had not yet met, they begin a courageous journey to freedom. With the prospect of a better life, Stefania and Halina enlist into the Womens Auxiliary Air Force and they meet during WWll, at RAF Newton in Nottinghamshire, England, home to several Polish Airforce squadrons. At the end of the war both married and began their new lives. A generation later, destiny would once again weave its web. Serendipity and romance would bring Ian and Mary together; the son and daughter of our two heroines. Inspired by the same spirit and determination as their mothers, they begin their own journey, searching for a unique and distinctive place worthy of being called Archangel. Their quest takes them to Central Otago, in the south island of New Zealand.